Archaeological sites in the shape of a foot or sandal—dated to the 13th or 12th century B.C.E.—have been found throughout the Jordan Valley. For decades, archaeologists have debated the purpose of these sites and the identity of their builders—with some suggesting that these sites were built by the Israelites entering the Promised Land and settling it. Ralph K. Hawkins, Associate Professor of Religious Studies at Averett University, addresses these varying interpretations in his article “Israelite Footprints: Has Adam Zertal Found the Biblical Altar on Mt. Ebal and the Footprints of the Israelites Settling the Promised Land?” in the March/April 2016 issue of Biblical Archaeology Review. During the course of the Manasseh Hill Country Survey, the late Adam Zertal and his team discovered a half dozen sites in the Jordan Valley with foot-shaped enclosure walls. The size of these sites varies. For example, el-’Unuq, one foot-shaped site, measures 816 feet long and 228 feet wide. This 4-acre site is larger than two soccer fields next to each other with their end zones connected. Bedhat esh-Sha’ab, another foot-shaped site, is 3 acres. The shape of these sites was not determined by terrain; they were intentionally built in this design. The most famous of these foot-shaped sites—also called sandalim and gilgalim—is on Mt. Ebal. This site was discovered by Adam Zertal and his survey team in 1980 and subsequently excavated from 1982–1989. There they uncovered a large altar, which was built of unhewn stones. The altar can be divided into two strata—both dated to the Iron Age I. The earlier level was built on bedrock and had a depression in its middle. Charred animal bones and ash were found inside this depression. Belonging to the later level was a monumental altar, measuring 23 by 30 feet and 10 feet tall, with a 23-foot long ramp leading up to it. This altar was filled with bones, many of which had been burned, ash and Iron Age I pottery. After excavations, Adam Zertal identified the Mt. Ebal site as cultic in nature, and he made the controversial claim that the altar on Mt. Ebal was the Biblical altar to which Joshua 8:30 refers. There was much opposition to this view, and although Hawkins addresses it in his article, we do not have space to cover it all here. In summary, although many still reject this as the Biblical altar referenced in Joshua 8:30, others think there might be a relationship between it and the Biblical tradition. Further, many now accept the cultic nature of the Mt. Ebal site. 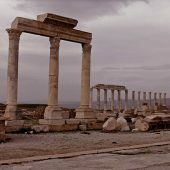 Israeli archaeologist Amihai Mazar writes, “Zertal may be wrong in the details of his interpretation, but it is tempting to accept his view concerning the basic cultic nature of the site and its possible relationship to the Biblical tradition.”1 Anyone interested in other scholarly opinions about the Mt. Ebal site and its altar should read Hawkins’s full article. The purpose of the other foot-shaped sites has also been debated. Because of the scarcity of pottery and lack of buildings at these sites, they were not likely to have been dwelling places. At first glance, they look like they might have been animal pens, but Hawkins rules out this interpretation because of the large size of these enclosures and the high quality of their construction. Along those same lines, he also discounts the possibility that they served agricultural purposes. Hawkins concludes that these sites are “unique and appear to have been built by semi-nomads who used a pottery repertoire similar to that of the new population group that entered Canaan from the east at this time [Iron Age I].” The foot-shaped sites may have served as gathering places for the semi-nomads, and it is possible that they had a cultic purpose as well—similar to the Mt. Ebal site. Since the pottery at the foot-shaped sites matches the pottery of the new population entering Canaan—a group that some have identified as the Israelites—some believe that these foot-shaped sites are Israelite settlements. The Bible refers to at least three, and possibly five, different locations as “Gilgal” … Most of these gilgalim … appear to have had a cultic function. One gilgal served as the site of the circumcision of the generation of Hebrews born during the wilderness wanderings as well as their celebration of the Passover (Joshua 5:2–11). Another gilgal was located near Mt. Ebal and Mt. Gerizim, where the Israel¬ites renewed their covenant with Yahweh in the midst of the settlement (Deuteronomy 11:30). Gilgalim also appear in 1 Samuel 7:16; 2 Samuel 19:15; Micah 6:5; Hosea 4:15; 9:15;12:11; Amos 4:4–5; 5:5; and other Biblical passages. The Biblical gilgalim seem to have functioned as gathering places for the Israelites—and sometimes also as cultic sites. Learn about Khirbet el-Mastarah, another possible early Israelite site in the Jordan Valley. At one point, Adam Zertal proposed that the foot-shaped sites uncovered during the Manasseh Hill Country Survey be called gilgalim because of the term’s connotation as a gathering place. Other than this common name and similar function—as gathering places—is there a deeper connection between the mysterious foot-shaped sites in the Jordan Valley and the Biblical gilgalim? Are they one and the same? For the time being, we cannot say one way or the other whether these sites are the gilgalim mentioned in the Bible and if they provide evidence of the Israelites settling the Promised Land. Perhaps future archaeological discoveries will settle the matter, but for now these sites remain a mystery. For a more in-depth treatment of this subject, read the full article by Ralph K. Hawkins—“Israelite Footprints: Has Adam Zertal Found the Biblical Altar on Mt. Ebal and the Footprints of the Israelites Settling the Promised Land?”—in the March/April 2016 issue of BAR. This article also addresses why these sites were built in the shape of a footprint or sandal. Additionally, Hawkins’s books How Israel Became a People and The Iron Age I Structure on Mt. Ebal: Excavation and Interpretation are good resources. BAS Library Members: Read the full article “Israelite Footprints: Has Adam Zertal Found the Biblical Altar on Mt. Ebal and the Footprints of the Israelites Settling the Promised Land?” by Ralph K. Hawkins in the March/April 2016 issue of Biblical Archaeology Review. 1. Amihai Mazar, Archaeology of the Land of the Bible (New York: Doubleday, 1990), p. 350. Adam Zertal, “Has Joshua’s Altar Been Found on Mt. Ebal?” Biblical Archaeology Review, January/February 1985. Aharon Kempinski, “Different Interpretations: Joshua’s Altar—An Iron Age I Watchtower,” Biblical Archaeology Review, January/February 1986. Adam Zertal, “Different Interpretations: How Can Kempinski Be So Wrong!” Biblical Archaeology Review, January/February 1986. 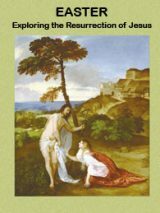 Queries and Comments: “Zertal Replies to Anson Rainey,” Biblical Archaeology Review, September/October 1986. Adam Zertal, “Israel Enters Canaan—Following the Pottery Trail,” Biblical Archaeology Review, September/October 1991. 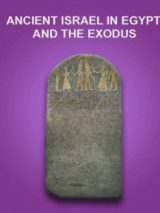 Aren M. Maeir, ReViews: “Harmonizing Bible and Archaeology for Israel’s Ethnogenesis,” Biblical Archaeology Review, May/June 2015. Aren M. Maeir, ReViews: “The ‘Joshua’s Altar’ Debate,” Biblical Archaeology Review, July/August 2013. Avraham Faust, “How Did Israel Become a People?” Biblical Archaeology Review, November/December 2009. This Bible History Daily feature was originally published on February 29, 2016. The Palmer Party in Australia. I am still trying to figure if I am related to Clive Frederick Palmer, who may share descent from my great-great-grandfather in Scotland. He supported the French Revolution with his small newspaper, and disappeared after 1792, at a time when dissenters were being rounded up in Britain. No freedom of the press there. The Brits feared that the French Revolution would spread from the continent, and perhaps panicked a bit at his paper’s content. The timing is about right for James Zerubabbel Palmer to have been sent to the penal colonies of Australia, Tasmania or New Zealand. Obviously proof that Bigfoot exists! Photo shows rocky ground with too many small rocks, like a sight from an early ice age. Anyone know if this location was involved in earlier glaciation? I don’t think the Wurme (or Wisconsin glacier) made it this far south. Anyhow, who promised them this land? Not Donald Trump, I hope. We should merge the 2 old tired parties and put Trump’s name on a new party, like the Palmer party in Australia. The late Adam Zertal would be very happy with this article.Not because there is agreement with his findings but that there is discussion at all.On a seminar tour I took with him a few years ago to the “footprints” his greatest complaint was the silence of the academic community. R.I.P.